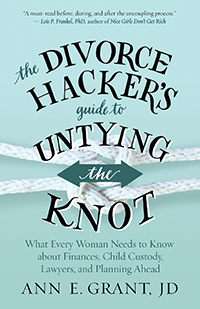 In The Divorce Hacker’s Guide to Untying the Knot: What Every Woman Needs to Know about Finances, Child Custody, Lawyers, and Planning Ahead, family law attorney Ann Grant presents the practical information every woman needs to protect herself as she navigates through a divorce. Feelings of loss, grief, and rage are common during this time. But one of the most debilitating feelings experienced by women going through divorce is paralyzing impotence. 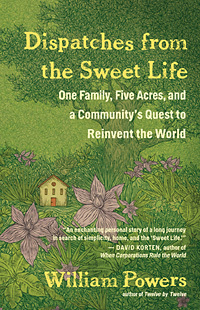 Readers learn how to take back their power and rights concerning finances, home, children, and work life. With compassion, insight, and tough-minded realism, Grant breaks down the divorce process and provides step-by-step assessments and checklists, as well as inspiring stories of successful lives post-divorce. Her goal is to give readers insider information that will not only make their divorce “successful” but also establish their life firmly and confidently on a positive, fresh new standing. September’s equinox marks the dawn of our most haunted season, and so begins our subtle longing for hearth fires and cooler winds. Marking the transition from summer to autumn with simple ceremony awakens our ancestral kinship with nature’s rhythms, with that sacred and holy wild to which we belong. Such rituals need not be elaborate events that overburden an already cluttered schedule; quite conversely, our rituals should allow for the quiet, the ethereal, and the spacious to seep into our busy, screen-driven days. Our rituals should enliven our innate wildness by giving it room to move, to dance, and to alchemize all that is stagnant and stuck within those forward-thinking and past-dwelling psyches of ours. Countless times throughout our lives, we’re presented with a choice to help another soul. 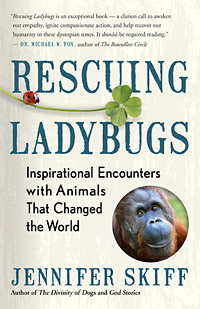 Rescuing Ladybugs: Inspirational Encounters with Animals That Changed the World by Jennifer Skiff highlights the true stories of remarkable people — leaders in the compassion movement — who didn’t look away from seemingly impossible-to-change situations and instead worked to save animals. 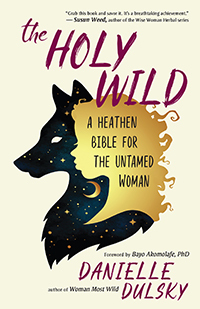 Prepare to be transported to Borneo to release orangutans, Brazil to protect jaguars, Africa to connect with chimpanzees and elephants, the Maldives to free mantas, and Indonesia, the only place where dragons still exist in the wild.